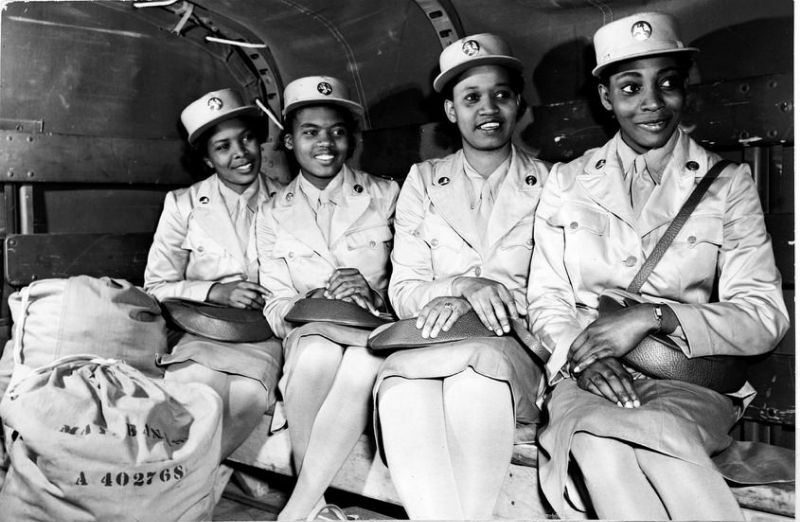 African American women served in many military career and held every position, ranging from nurses to spies to postal clerks. Despite their effort and contribution towards the war, the Army policy did reflect segregationist policies during World War II. Basic training was segregated, as well as living and dining. 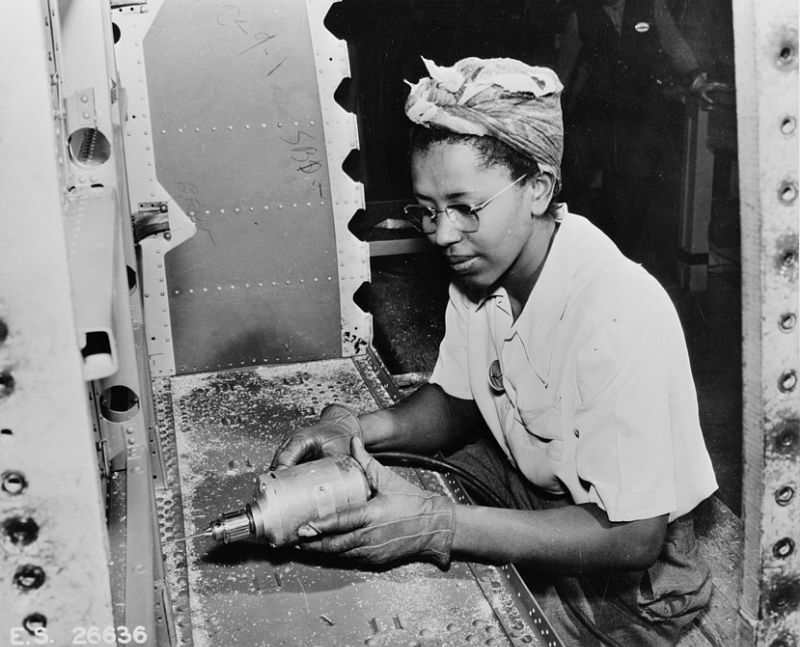 African American women, though highly skilled, were often assigned to the dirtiest industrial tasks and received the lowest pay. African Americans learned that they would have to fight for their own rights. 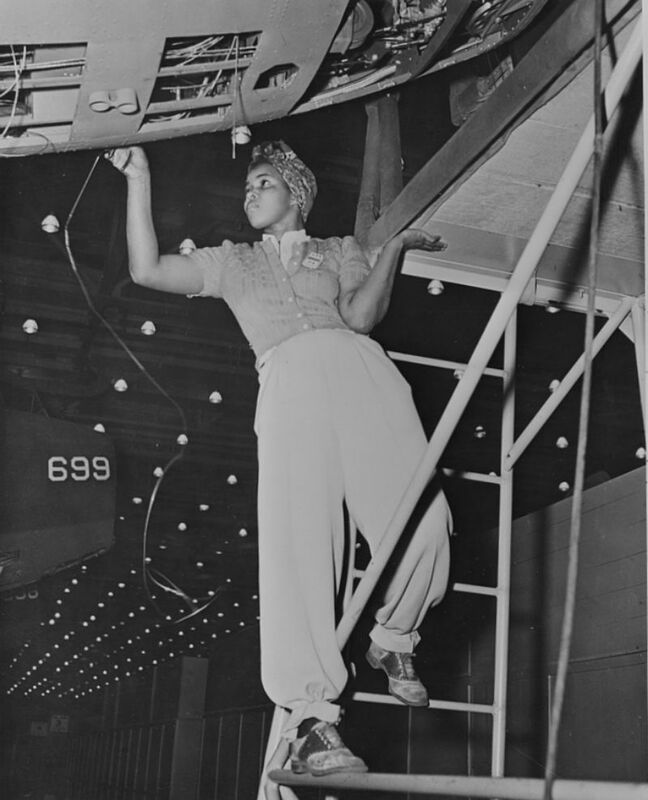 As early as 1940, at a civil rights convention in Chicago, an African American women called for integration of the defense industries, where blacks were segregated into the worst jobs. Soon there after, President Roosevelt issued Executive Order 8802, which ‘outlawed discriminatory hiring practices by defense contractors and established the Committee of Fair Employment Practices’. This was the first significant presidential action on behalf of African American civil rights since Reconstruction. Although African Americans did fight for the passage of Executive Order 8802, Eleanor Roosevelt, President Roosevelt’s very influential wife, was a strong supporter of rights for African Americans and did help with the passage of this act. Eleanor Roosevelt strongly opposed the Navy policy that kept African Americans enlisted in servile support jobs such as cooks and waiters. 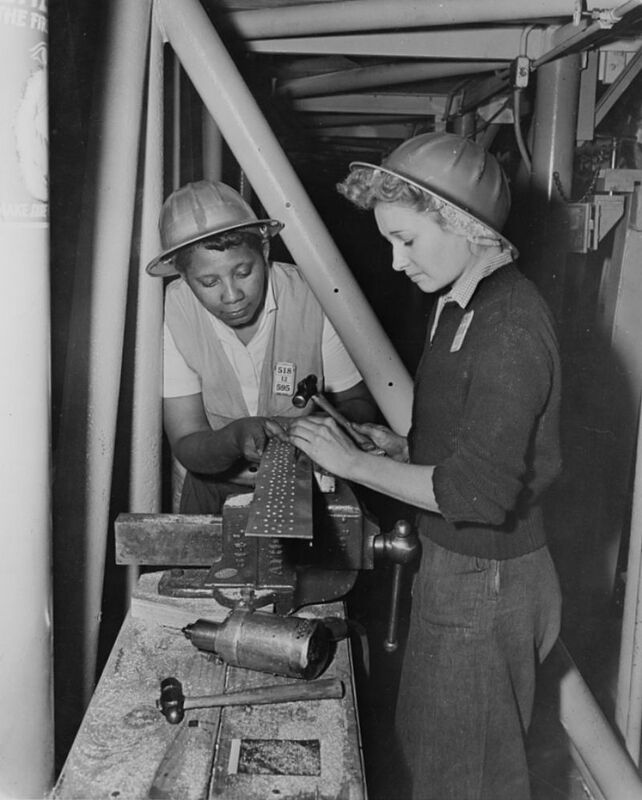 New opportunities were finally given to African American women not only in the factories, but also in the flourishing black communities as well. The presence of blacks were apparent in the factories and in the blues clubs that began to proliferate. Many of these clubs were owned and ran by African American women who had migrated to California during World War II. Within these African American community, blacks could ‘organize politically and form networks for their own social and economic needs’. 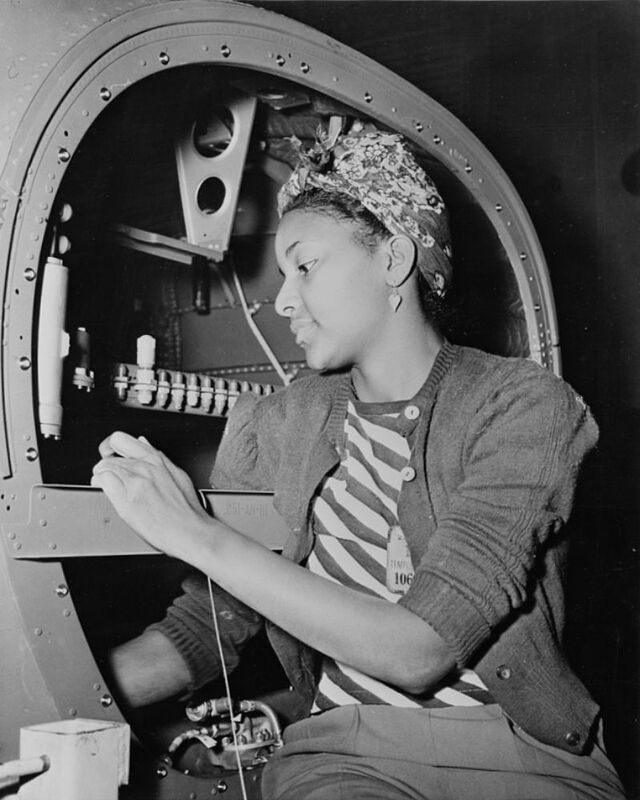 This greatly contributed to the legacy of African American women from World War II.